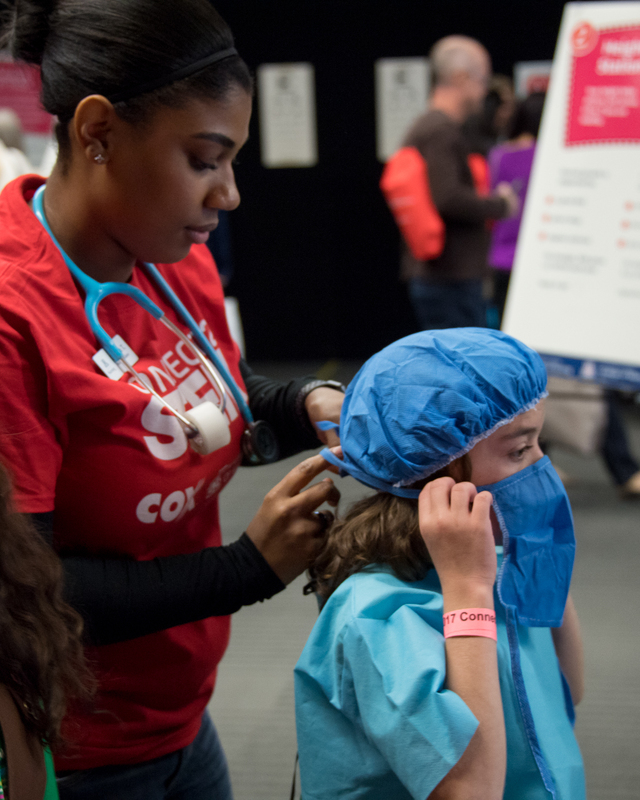 More than 6,500 children and adults enjoyed a day full of science, technology, engineering and math activities at Saturday's third annual Connect2STEM at the University of Arizona College of Medicine – Phoenix campus in downtown Phoenix. 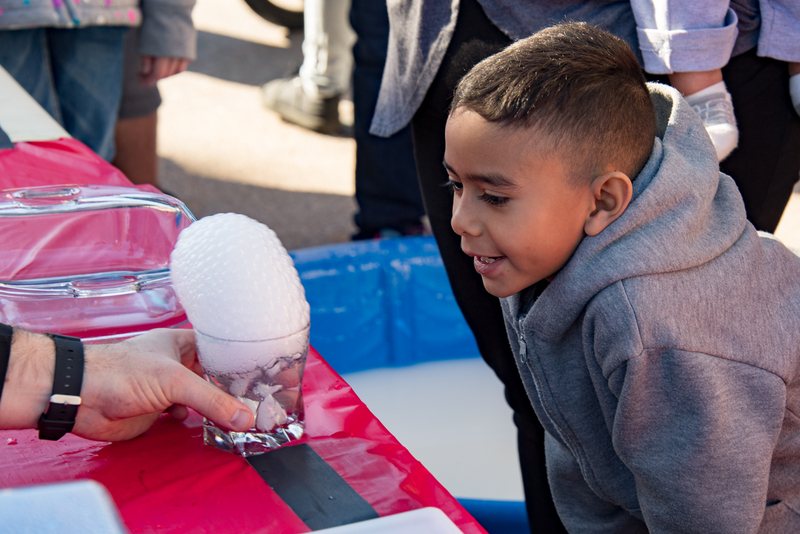 The event, the kickoff for this year's Arizona Scitech Festival, was sponsored by the UA in partnership with Cox Communications, intended to inspire children about STEM subjects and educate them about STEM careers. 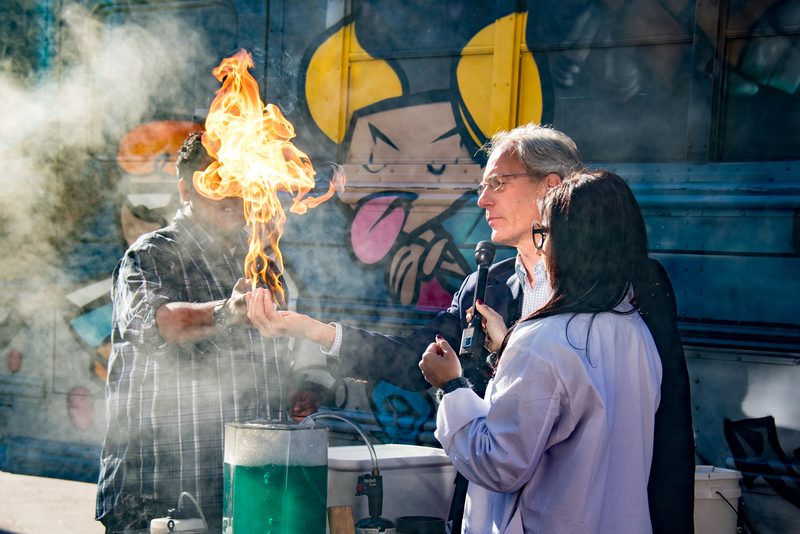 Children clustered around fun science activities, including "exploding" toothpaste experiments led by students from the UA College of Pharmacy, dissections led by first-year medical students from the College of Medicine – Phoenix, and fire and soap demonstrations by the Physics Factory. 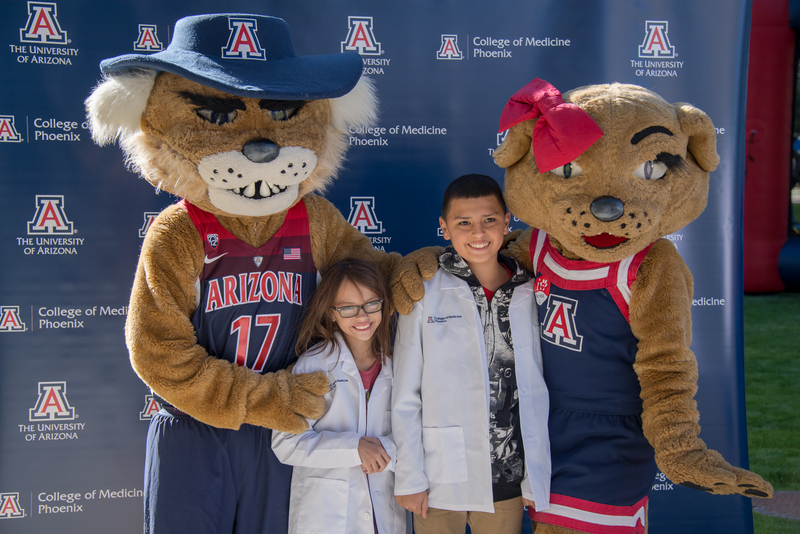 The youngest attendees took stuffed animals for checkups at the Wildcat Play Hospital, staffed by UA College of Nursing students. Other UA divisions and departments on hand were the Lunar and Planetary Laboratory; the College of Architecture, Planning and Landscape Architecture; the College of Agriculture and Life Sciences, Maricopa Agricultural Center, Project WET, Cooperative Extension and Wildcat Water Lab; Roosevelt Early Childhood Family Resource Center; UA Police Department; Office of Admissions; Eller College of Management; and Arizona Athletics. 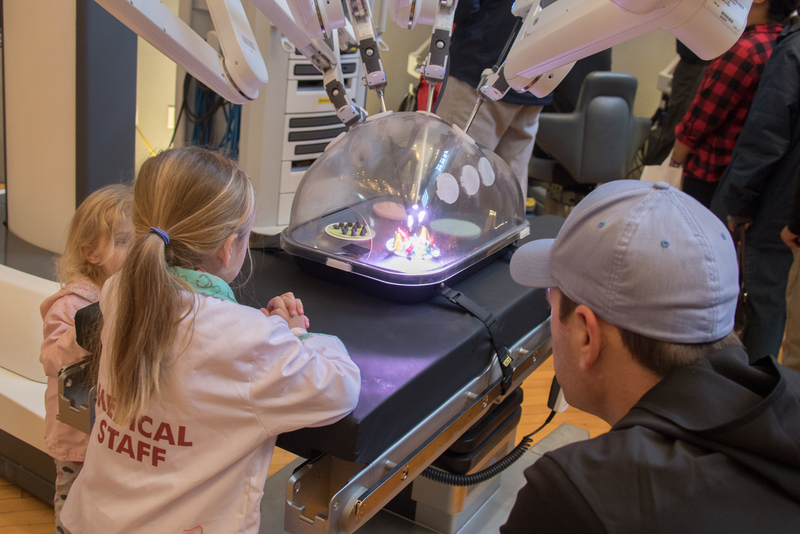 The daylong event featured exhibitors from all three of the state's public universities, including the Northern Arizona University Physical and Occupational Therapy Programs and Arizona State University's Neuroscience School of Life Sciences, as well as ASU's Science Is Fun outreach program. 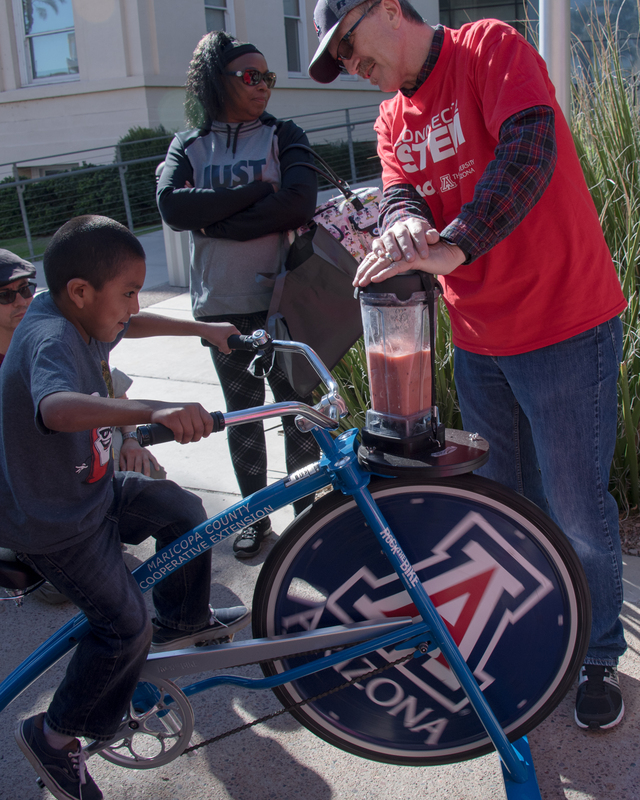 Professionals from businesses and local community organizations also took part, including APS, Intel, Challenger Space Center of Arizona and Children's Museum of Phoenix. Several metro Phoenix high schools were represented with their robotics displays, and South Mountain and Mesa Community Colleges also had technology displays.